We are excited to open up a few spaces to attend a day long intensive on Herbs for Digestion and Fermentation with Suzanna Stone of Owlcraft Healing Ways. This class is part of the Centro Ashé Grassroots Herbal and Holistic Wellness 8 Month program and the day will be however will be open to additional attendees for this class only. Saturday will include a workshop on herbs for digestion including bitters, astringents, demulcents, carminatives and preparations followed by a workshop on the Art of Fermentation including veggie ferments, condiments, beverages including sodas, kombucha and honey wine! The class is super hands on and will include lots of yummy creations to taste! Lunch is potluck style. 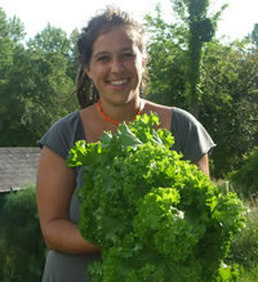 Suzanna Stone is a graduate of the Three Year Community Herbalist training at Sacred Plant Traditions where she serves as a guest lecturer. She founded Owlcraft Healing Ways in Scottsville, VA where she offers clinical consultations and classes in plant medicine, traditional foodways, and drumming. Her passion for the drum led her to Senegal where she studied traditional West African drumming and dancing.Her chants can be found on her CD "Songs From The Spiral". She has a BFA from Virginia Commonwealth University and her work has been in Surface Design magazine and the We'Moon '08 date book. She was raised with an awareness of whole foods and for the past eight years has focused on learning from the plants themselves. Pre-registration is required, registration is non-refundable but transferable at equal value. Please contact info@centroashe.org or 301-375-6082 with any questions.